Nice and large cotton tote bag. Great for carrying everything you need for school, work or stuff for your next litter pick! Printed with life like Duffy the Sea Turtle from Duffy’s Lucky Escape and a life like Nelson from Nelson’s Dangerous Dive. 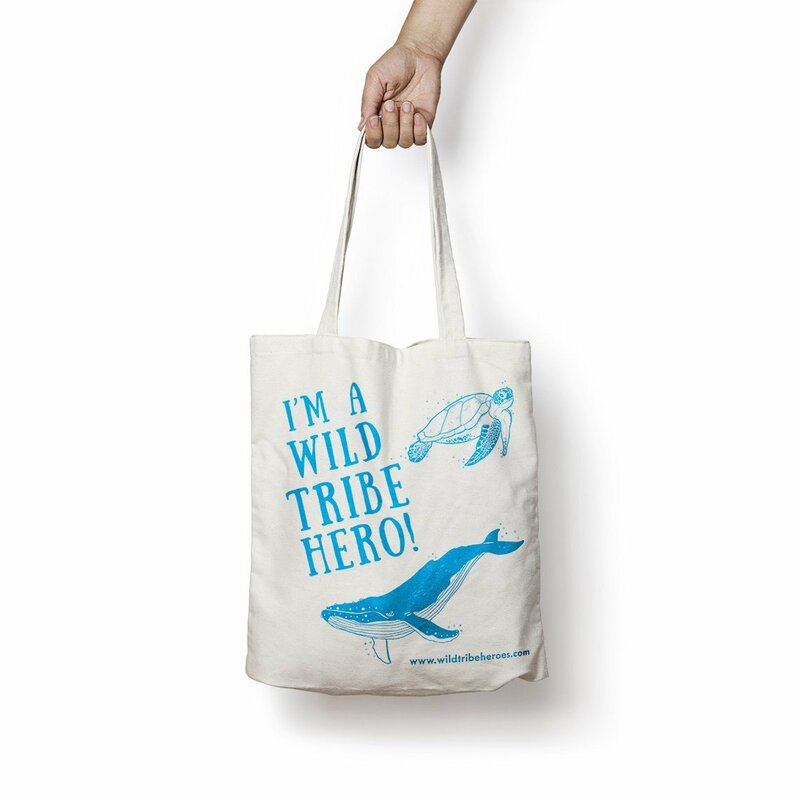 Let all your friends know you are a real life Wild Tribe Hero!